MXTimer is a simple but effective chronometer with two counting modes: forward (stopwatch) - with the ability to time laps and calculate lap deltas in real time (in-place, real-time, best-lap deltas) and backwards (countdown), with the ability to loop and vibrate to alert you to expired time cycles. Time functions are unobtrusive (using minimal device functionality) to avoid unnecessary access permissions on your device. For this reason, the app uses vibration and not sounds. 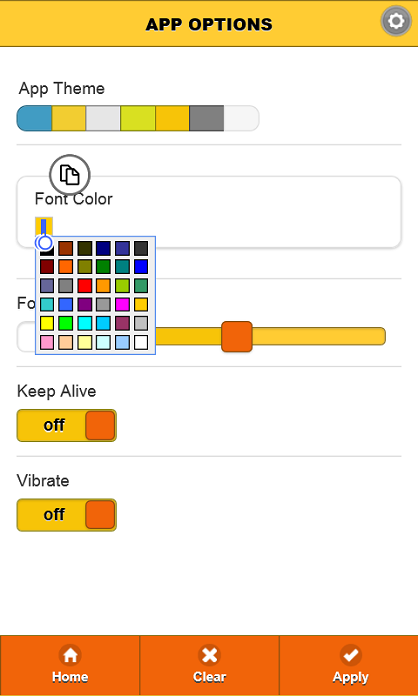 Using sounds requires permissions related to privacy and file access so we designed MXTimer to alert you using vibration instead, which can be turned off. 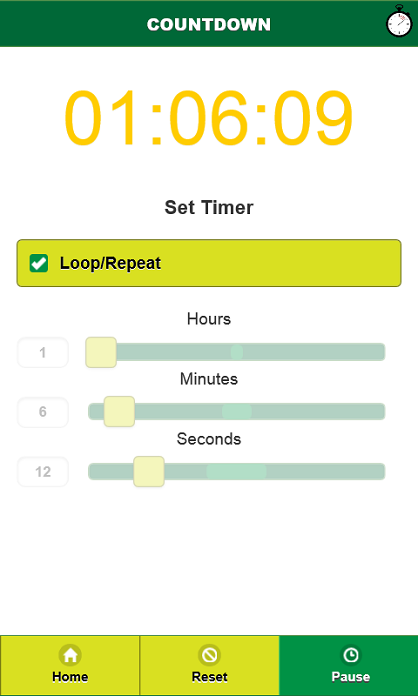 The application also allows you to lock it in the foreground; this way your timers keep working preventing the screen from locking but not using background power or extra battery. You also control whether you want the app to keep your screen on or not. MXTimer can share time data with your other applications and social networking sites if you desire. You may copy data to the clipboard, email it, tweet it or save it. You may also choose from a variety of built-in themes and colors, font sizes and other options. Overall, the app requires permission to vibrate, save time data to your local device and an internet connection if you wish to share the data online. This is all the application does - no access to your private information, phone or contacts or other sensitive information is needed at all. 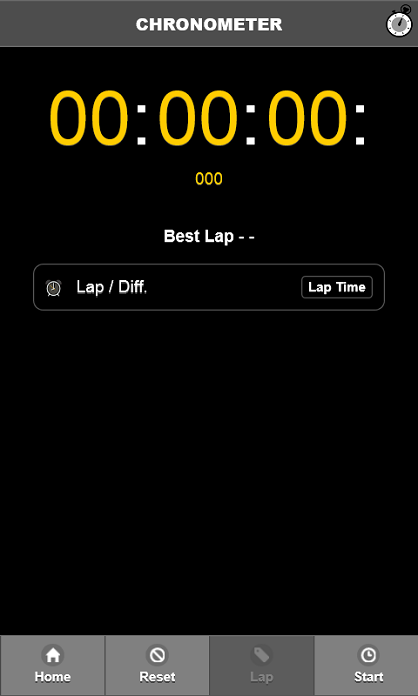 MXTimer is free and contains no advertisements. Measure lap times up to 99 hours or count down from 99 hours. 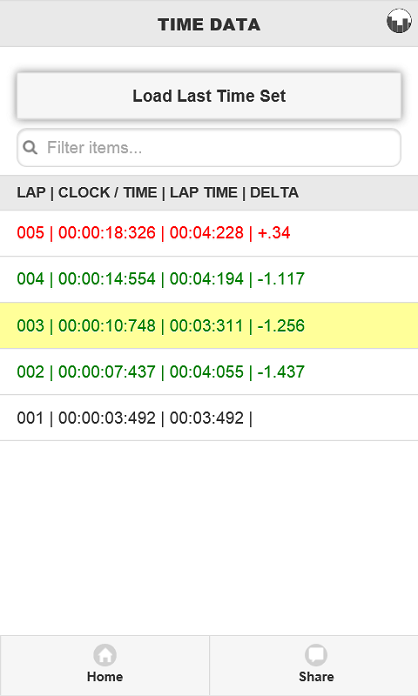 Record individual lap times, delta differences and overall times easily. Filter through the results and share them via other applications or social media. Choose from a set of themes and colors and analyze data at any time. Note: the DATA ANALYSIS view always shows delta differences relative to the prior lap. Note: the regular chronometer view always shows delta differences relative to the best lap. 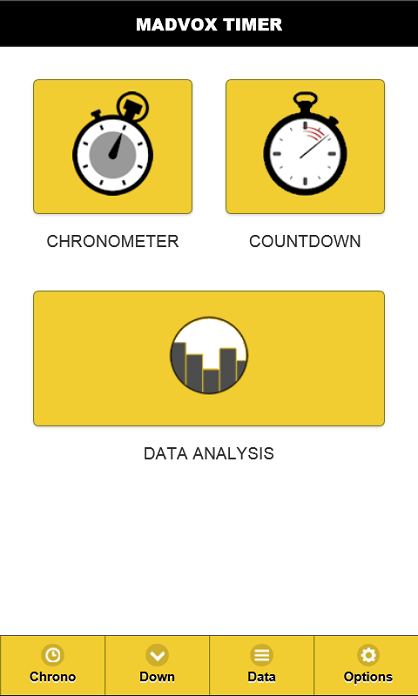 Note: Switch from Chronometer to Data Analysis to look at your current results. 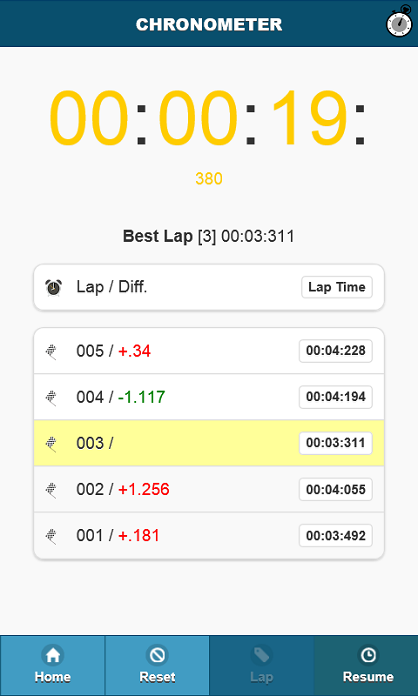 Hint: You may perform that switch while still timing a lap then return to the timer (chrono). Important: Do not forget to "APPLY" any changes you make in the options menu. How do I keep the timer on the screen and prevent it from dimming? : Use the KEEP ALIVE option. You may turn that option off at any time. This will prevent the screen from going black and thus, there may be additional draining on your battery. However, this is a normal option to use if you plan to, say, do exercise, and have the device on in front of you. Roguetoad Studios - This program was produced with the help of Roguetoad Studios who provided images, themes and icons. This program also uses some clipart and icons from Open Clipart. Some script libraries from the Apache Cordova Project.